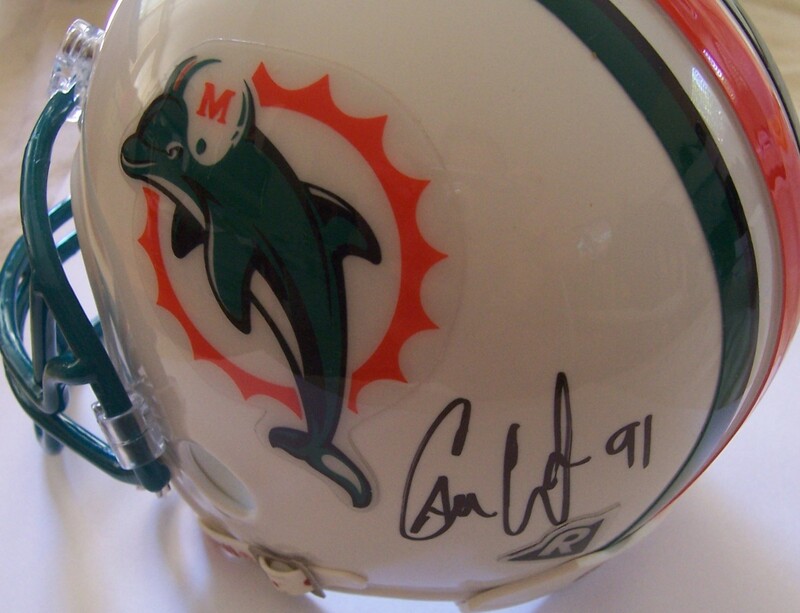 Miami Dolphins mini helmet autographed by Pro Bowl linebacker Cameron Wake. With certificate of authenticity from AutographsForSale.com. ONLY ONE AVAILABLE FOR SALE.